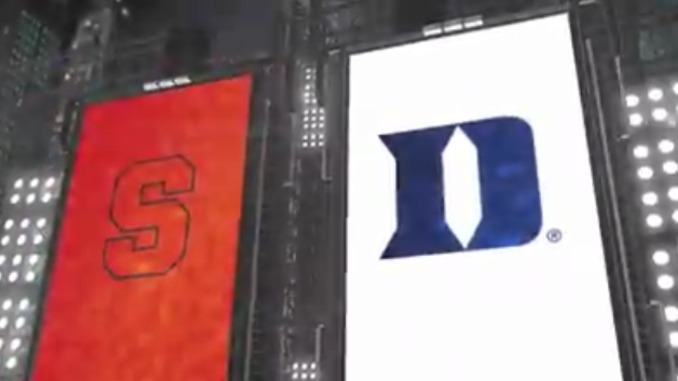 Syracuse vs. Duke: The unraked Orange went into Cameron Indoor and upset the #1 ranked Duke Blue Devils 95-91 in overtime. Syracuse trailed most of the game but took a lead on Paschal Chukwu putback with just over 3 minutes to go, and it was Chukwu who had the basket that sealed the win in overtime for the Orange. Chukwu finished the game with 10 points and 18 rebounds. The player of the game for Syracuse was Tyus Battle who scored 32 points. Elijah Hughes also scored 20 points for Cuse.